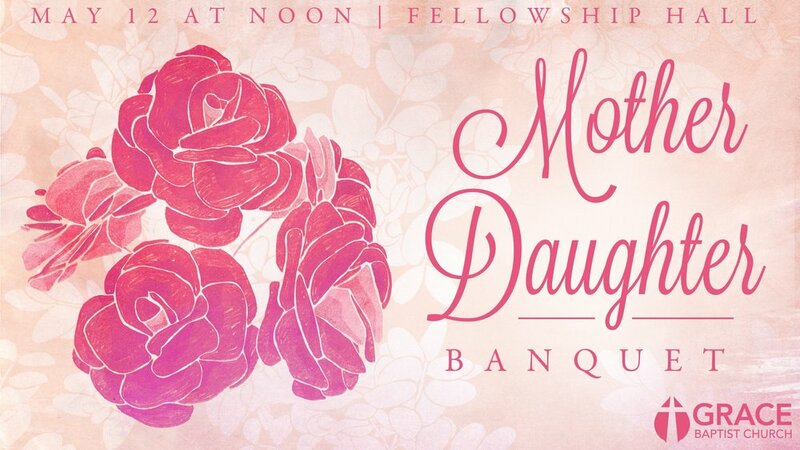 We are having a Mother-Daughter Banquet on Saturday, May 12, at 12pm. If you don't have a daughter or a mother to bring with you, adopt a daughter or mother from the church for the day and come together. The speaker for the event will be Jody Sears. You can sign-up at the Welcome Center or click on the following link to sign-up online: https://gracetoanderson.breezechms.com/form/783a82. There is no cost for this event.